Quickly Create RF Propagation Maps for Anywhere in the World! Our simple to use system will allow you to create Tower Coverage Maps for any geographical area in the entire world. Our maps are based on actual RF propagation, topography, and land cover data. Maps can be created for nearly every frequency range. Create 900 MHz, 2.4 GHz, 3.65 GHz, and 5 GHz coverage areas quickly. Create for any frequency other than 88-107MHz "FM Band". View several coverage maps in one Google Maps screen! Create printable Link Path Analysis showing performance, SNR, and Land Cover. Customize with your company logo. Add defined Links into desired groups to visually display the backbone of your network. Collect End User Submission data via web integration. This data will reduce no-gos, show potential user locations, and help map out new tower locations. We have a library of API Calls that will help you automate many of the processes of TowerCoverage.com. Our Billing API works with most billing software programs. Push EUS Data into your billing to auto-create accounts and records. Define Radio Systems with predefined settings and gear to quickly create Coverage Maps. Our parent company, Link Technologies, Inc. sells all the top gear from the top manufactures. Link Technologies, Inc. offers small office switches, large industrial routers, high-end radios / antennas, and anything in between. Call our trained Sales Team to assist you in making decisions on what products will work for your specific needs at 314-735-0270. Check out the website at www.linktechs.net, call or email sales@linktechs.net to discuss your current hardware needs and up-coming projects! Link Technologies, Inc. also offers leasing options to help get your next project funded. Link Technologies, Inc. has a team of experienced Network Engineers to help you along your path to success. From inner office structure to full network optimization, Network Support Engineers can handle planning and executing your entire project or jumping in when you need help over a. No job is too small or too large. Expand or improve your business with any of their amazing solutions! Be sure to consult with an experienced Link Technologies, Inc. Network Support Engineer about ideas for your next networking project. Have questions about utilizing the TowerCoverage.com tool? Check out our WIKI. We update these informative pages to provide the best data to keep you in the know. 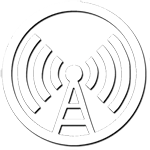 ISP Radio Network is a place where Internet Service Providers meet weekly to share ideas of what makes the Internet work and how to make the Internet work better.